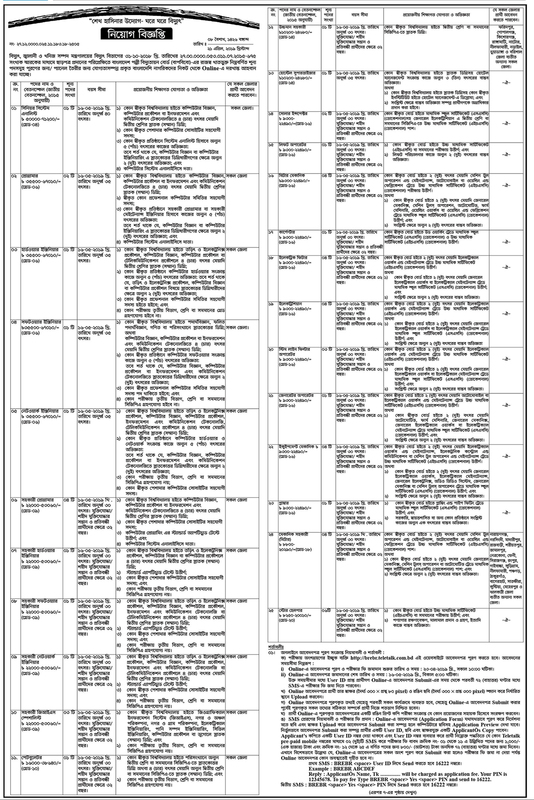 Bangladesh Rural Electrification Board New Job Circular-2019 published their website www.reb.gov.bd. Bangladesh Rural Electrification Board has issued the appointment notice to the daily Jugantor newspaper on 24 April 2019. Eligible and qualified candidates will be appointed permanently in the posts of interested candidates. Directions and information for the appointment of Bangladesh Rural Electrification Board website www.reb.gov.bd will be available. Download and apply the form and circular. REB interested candidates will be appointed for a total of 2000 posts in 01 categories. Candidates who have passed SSC / HSC / Degree passed / graduate / BBA degree will be able to apply. The information will be provided according to the instructions of the recruitment notification. Candidate’s signed application will be sent through online on 23 April 2019. Incomplete / Incomplete application form or after the scheduled time no application will be accepted. All recruitments will be followed during the appointment of interested candidates and the quotas quoted by the government. The application signed by the candidate will be forwarded to General Manager (P & A), Bangladesh Rural Electrification Board, Dhaka-1000 through online on 23 April 2019. Job Location: The General Manager (P & A), Bangladesh Rural Electrification Board, IEB Bhabon (New), 8 / A Ramna, Dhaka-1000. Educational Qualification: Eligible candidates can apply for Eight/ SSC / HSC /Degree(pass) /Hon’s/ postgraduate degree. Bangladesh Rural Electrification Board New Job position it’s provide the highest service of the people in our country. If you Interested to apply the chosen post through online you have to visit their official website-www.reb.gov.bd. Please join us for more government or non-government jobs. Thank you for visiting our website www.ejobscircularbd.com. Regularly visit our website www.ejobscircularbd.com or on Facebook for the exam date and results. You will receive a daily updated Job Circular on our website. We will be happy with your success and we always ensure the service. We will later update the appointment letter of Bangladesh Rural Electrification Board. Besides new job offers-2019 will be available on their website- www.reb.gov.bd.